In advance of last weekend’s deadline for exclusive negotiating rights with their own free agents, the Los Angeles Dodgers re-signed Ted Lilly to a three-year deal worth $33 million in mid-October. It’s remarkable that Lilly’s $11 million annual salary under his new contract actually tops the $10 million he averaged under his last deal. Lilly hasn’t gotten worse, but he hasn’t exactly gotten better. Keep in mind, he will be 35 years old on Opening Day. If Lilly’s mostly average, 35-year-old left arm fetches $11 million a year, pitchers like Carl Pavano, Jon Garland, and Hiroki Kuroda should be in good shape on the open market once Cliff Lee signs. Although he spent just two months in Los Angeles, Lilly impressed the Dodgers enough to lock him up before he hit free agency. In his 12 starts with L.A., he went 7-4 with a 3.52 ERA. This came after a 3-8 record for the Cubs with a 3.69 ERA in 18 games. Defensive independent metrics like FIP and xFIP – stats that measures strikeouts, walks, and home runs allowed and strip out factors beyond a pitcher’s control – show that Lilly’s true talent level in Chicago was closer to his poor record than his better-than-average ERA. Meanwhile – according to the same metrics – Lilly was a much better pitcher in Los Angeles despite the minimal difference in ERA. The biggest difference between Lilly’s two stops was strikeouts. In 117 innings on the North Side, he struck out 89 batters. After his move out West, he struck out 77 batters in just 76.2 innings – or 9.04 batters per nine innings (K/9). In addition to the increase in Ks, he also dropped his BB/9 from a very good 2.23 to a fantastic 1.76. Home runs followed him to L.A., but the long ball has always been a problem for Lilly (career 1.35 HR/9). On the other hand, swinging strikes and first-pitch strikes are not park-influenced. After the trade, Lilly upped his first-pitch strike percentage from 61.0% to 67.9%. He also increased his whiffs from 7.6% to 10.9%. The latter is the highest total for him since 2003. In some cases, a player’s value or perception may differ from real-life to fantasy. That said, Lilly’s place as a mid-rotation starter is universal. He has been durable (averaged 183 innings over last eight seasons) and he piles up wins. In fact, since 2003 only four left-handed starters have won at least 10 games a year. The list: Johan Santana, CC Sabathia, Mark Buehrle, and Lilly. There is no rush to lock him up like the Dodgers did, but Lilly should provide value as an SP3 or an SP4 in all leagues next season. For more on Ted Lilly and mid-rotation candidates check out Bloomberg Sports’ Front Office. Kuroda may not get a ton of press, but after a good career in Japan, the 35-year-old starter provided tremendous value and stability throughout the 2010 season, improving on his strong 2008 and 2009 campaigns. He finished the season with a sterling 3.39 ERA, buttressed by a better strikeout rate (from 6.67 K/9 in 2009 to 7.29 in 2010) and a phenomenal ability to keep the ball on the ground (51.1% groundball rate) and limit home runs (0.69 HR/9 IP). Broxton entered the season as one of the most reliable closers in the game. Guess what? He lost his job. In the first three months of the season, Broxton was dominant. Then, the wheels came off. His ERA after the All-Star break was a flabbergasting 7.13, as he lost the ability to command his pitches. Why did his strikeout rate drop and his walk rate climb? This could certainly be the case of a hidden injury. When Kershaw came into the league, some called him one of the best left-handed prospects in a generation. This past season, Kershaw stepped up to the hype with a 2.91 ERA and 212 strikeouts. Kershaw’s biggest improvement came by allowing fewer walks. A word of warning: Kershaw got very lucky last season, allowing just 13 HR despite being a flyball pitcher. Still, he’ll be just 23 next Opening Day, and the future looks bright. The Dodgers’ pitchers are perhaps the showcase example of an MLB-wide trend: not as many home runs allowed. Thing is, the Dodgers were luckier than most. Take a look at most of their starters and you’ll see a staff that kept the ball in the park at a phenomenal rate – not just at pitcher-friendly Dodger Stadium, but on the road too. The exception? Ted Lilly. After being traded to the Dodgers at the trade deadline, Lilly gave up 13 HR in 76 IP. 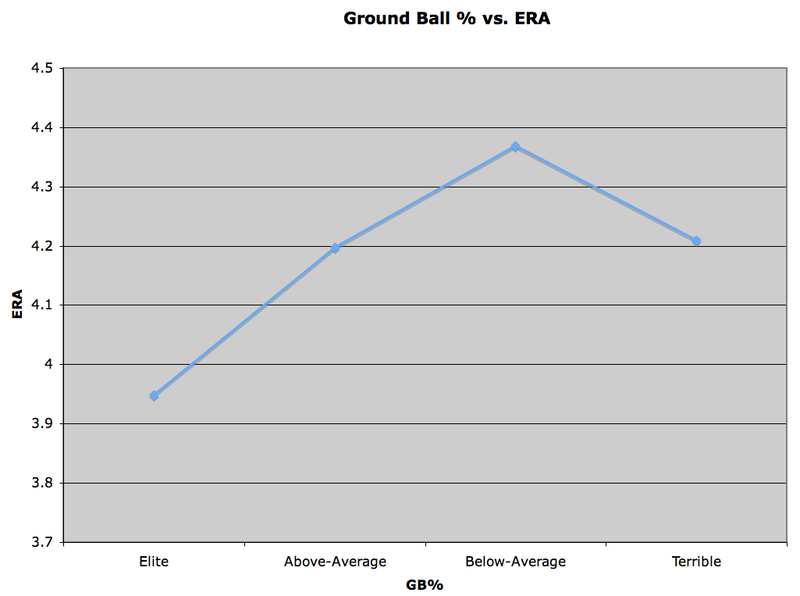 He’s an extreme flyball pitcher (52.6% in 2010, 46% for his career), so the long ball is always a threat. Nevertheless, Lilly still managed a 3.52 ERA with the Dodgers and a WHIP under 1.00, making him a solid bet to provide nearly elite numbers next season – especially after he inked a three-year extension to pitch at Dodger Stadium. For more on Dodgers pitchers, check out Bloomberg Sports’ Fantasy Tools. In his 12-season career, Ted Lilly has played for six teams, but no home environment marks a better fit for the veteran pitcher than Dodger Stadium in Los Angeles. Traded there last week, Lilly brings with him nice surface stats, including an ERA of 3.56 and a 1.09 WHIP. However, as noted here in June, Lilly has been getting rather lucky this season, as his strikeout rate has fallen to a career low (6.82 K/9 IP). 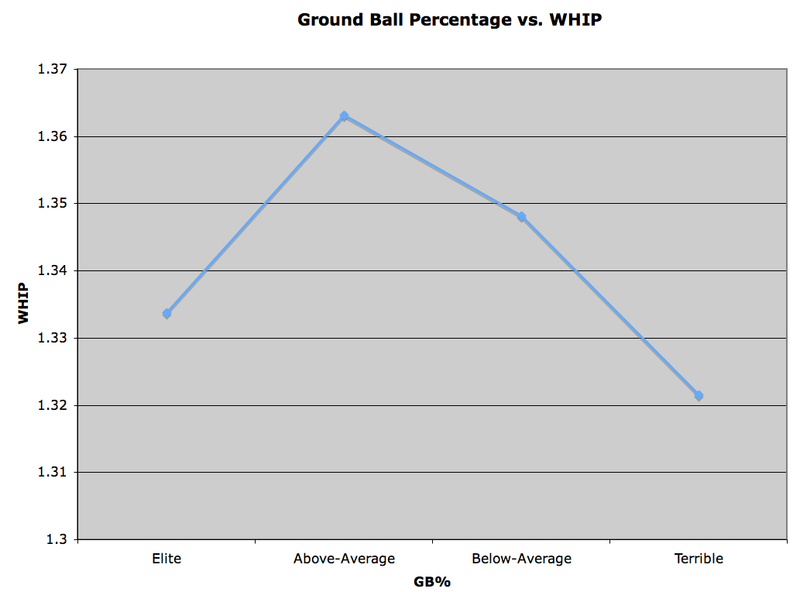 Whiffing fewer batters means putting more balls in play. For Lilly, that’s potentially disastrous. Nearly 52% of balls hit off Lilly are flyballs. Typically, that translates to a lot of home runs allowed. In Lilly’s case, he’s giving up 1.45 HRs per nine innings — a poisonous rate for an ordinary pitcher. However, when Lilly has given up a home run this season, he’s been fortunate enough to survive without too much harm to his ERA. Of the 20 HRs that Lilly has given up this season, 11 have come with the bases empty and seven of come with only one man on base. Thanks to being both good (2.1 BB/9 IP) and lucky (.252 BABIP), Lilly’s opponents haven’t been clogging the bases at a frequent enough rate to hang him when he gives up the long ball. Playing for Chicago, Lilly was a primary candidate for significant regression, as his FIP and xFIP (measures which run along the same scale as ERA, but strip out luck, park factors and other variables) are nearly a full run higher than his ERA. A move to Los Angeles offers some amnesty from the expected regression. Wrigley Field boosts HRs by right-handed batters by five percent whereas Dodger Stadium depresses HRs by right-handed batters by eight percent. About 85% of home runs off Lilly have come from right-handed batters in his career. Moreover, Dodger Stadium boosts strikeouts by about seven percent. In sum, Lilly’s flyball tendencies and dwindling ability to overpower batters with strikeouts won’t cause nearly as much trouble in friendly Los Angeles. And he could also get help in another important way. Remarkably, despite a wonderful ERA this season, Lilly had only three wins in 2010 playing for the Chicago Cubs. His former club offered the fourth-worst run support in the National League. According to statistics kept by Baseball Prospectus, Lilly would have gotten 10 wins playing with an average offense. On Tuesday, Lilly picked up his fourth win of the season, perhaps some cause for optimism for Lilly’s fantasy owners who have been been both lucky and unlucky with Lilly this season. Lilly and Velocity: Fantasy Buy, Sell or Hold? There are a lot of different ways to look at Ted Lilly and his season so far. 1) He’s doing fine. He has a 2.90 ERA, a 1.00 WHIP, and is only 2-5 because of a poor offense behind him. The Cubs have scored the third-fewest runs in baseball, so Lilly is good for everything but wins. 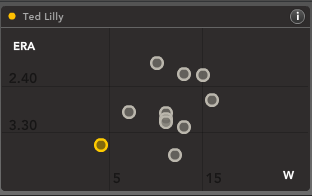 Just check out his Bloomberg Sports Fantasy Tools spider graphs! He’s elite in every category but strikeouts. This is not a crazy way to look at Lilly – he’s never been about strikeouts anyway, and he’s still got his trademark control. Buy! 2) He’s heading for disaster. He’s sporting a career low in strikeouts per nine innings this year (5.66). A drop in strikeouts for a veteran is worrisome enough, but Lilly hasn’t ever averaged below 6.84 K/9 for a full year, and the lowest average he has put up in the National League was 7.57 in his first year with the Cubs. This is not a dip, it’s falling off the table bad. And Lilly’s walk rate, though still solid (2.37 BB/9), has gone up from last year (1.83 BB/9). Lilly is also suffering from his worst fastball velocity in years – one system has him at 85.6 MPH, and one at 86.4 MPH. Both are far below his normal ~88 MPH level. Add to all this the fact that Lilly is a flyball pitcher (34.4% career groundball rate) and suddenly you can envision that home run rate (1.05) starting to inflate closer to his career number (1.35) once Wrigley Field starts warming up. Lower velocity, fewer strikeouts, more walks, and more home runs on the way? Sell! As usual, the truth lies somewhere in between the two extremes. A pitcher with an 88 MPH fastball obviously doesn’t rely on blowing people away for his success. His current walk rate is in line with his National League walk rate (2.36 BB/9) and he’s getting his pitches in the zone at exactly his career rate (54.7%). It’s a little worrisome that his contact rate is up (83.7% this year, 79.7% career), but we have not yet tackled his velocity fully. It may be tempting to point to his arthroscopic surgery and the reduced velocity and wipe your hands of Lilly. The surgery did go into the labrum, and labrum surgeries have ruined many careers. But the surgery only repaired a little fraying, and was done soon after last season ended. 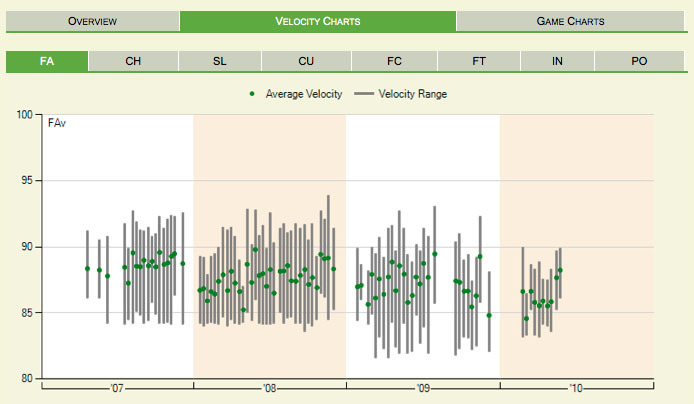 He’s now put seven months between himself and the surgery, and lo and behold, look at his velocity charts for the most recent games (courtesy www.fangraphs.com). See how he’s been his old self again in the last two starts? Maybe Lilly just needed a little time to get back to his prior form. You might notice that his K/9 in those last two starts was a decent 6.19 (11 strikeouts in 16 innings). While velocity alone does not a good pitcher make, given average movement (and Lilly’s movement is not elite), a faster fastball is always better. 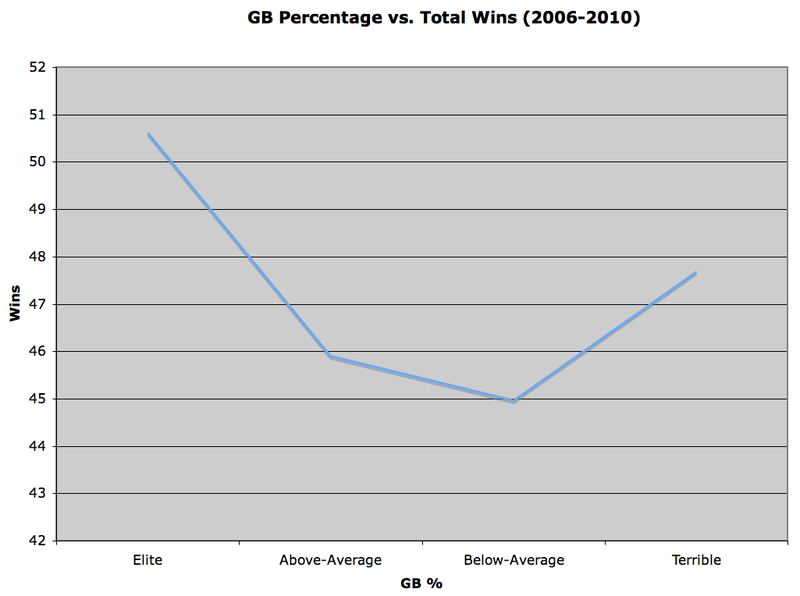 Here’s some great work on the subject by Jeremy Greenhouse at Baseball Analysts. As a flyball pitcher, Lilly will always have the risk of the home run looming (or flying) over his head. 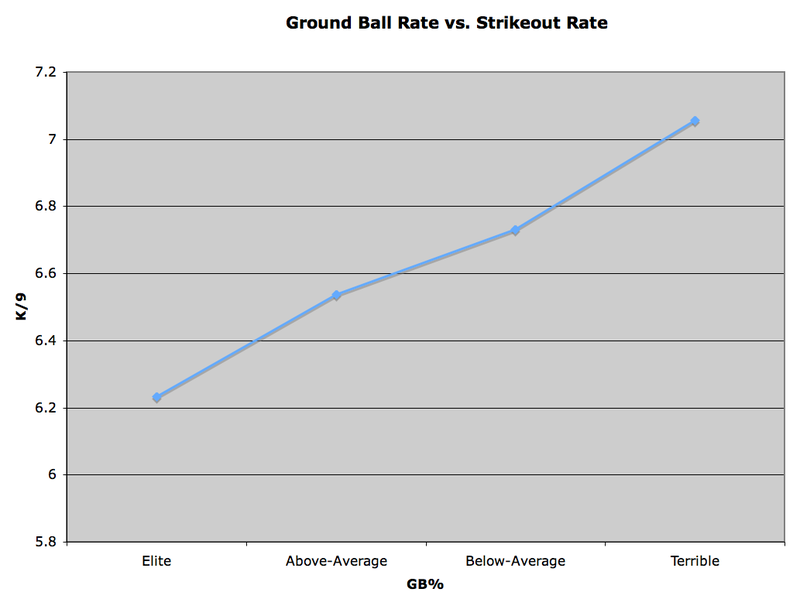 A 1.3+ HR/9 rate is not a comfortable place to be for most pitchers. Had he put up his 1.35 career HR/9 rate last year, for example, he would have been sixth-worst among ERA title qualifiers in the category. But Lilly always makes up for this flaw by not walking anyone (and thus keeping his WHIP low); the home runs he allows are often solo shots. Because he helps in WHIP, doesn’t (usually) hurt in strikeouts, and will hopefully start to win some games, he’s still a valuable pitcher despite the lack of a marquee name. And since he still gives up those home runs, hasn’t pushed the average velocity needle back over the hump, and hasn’t yet struck out enough batters to register in that category, he can be hard to trade. Especially in leagues where other managers know how to find the velocity of a pitcher, that makes Lilly a “hold” in most formats. For more on Ted Lilly and other options for the middle of your fantasy rotation, check out Bloomberg Sports’ Fantasy Tools.